Rune – SM5CUI has developed a new software for calculating – tracking and observing the moon activities. 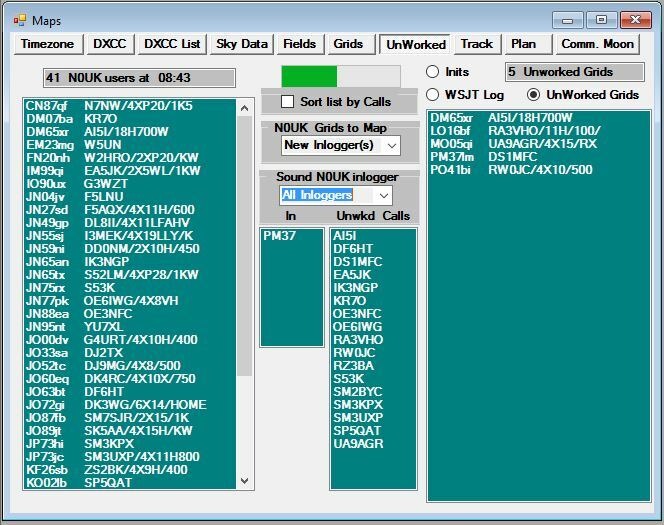 This new software has some extras others do not have: upload your log and find out by observing the NØUK chat if there are new stations you did not worked before, list your own worked grids in a map and of course there is a moon tracking mode and a monthly moon condition situation as well. The software can be downloaded at Rune’s homepage and is free of charge. 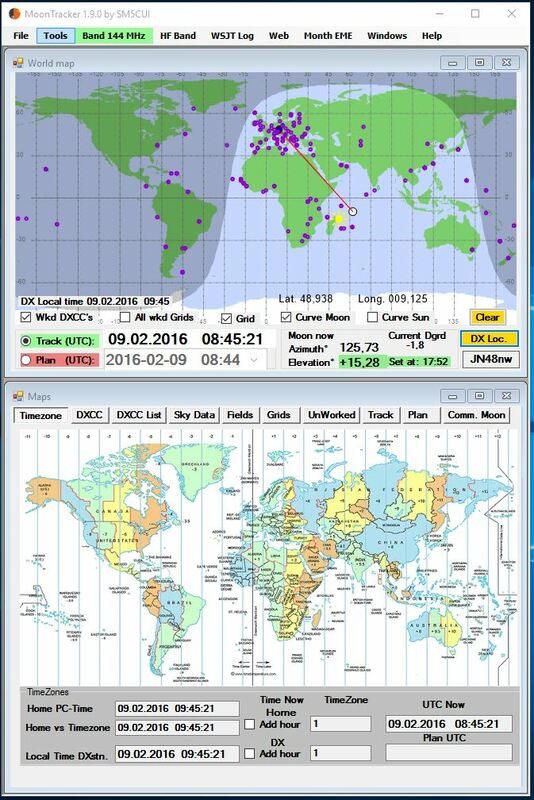 Link: Moon Tracker software . 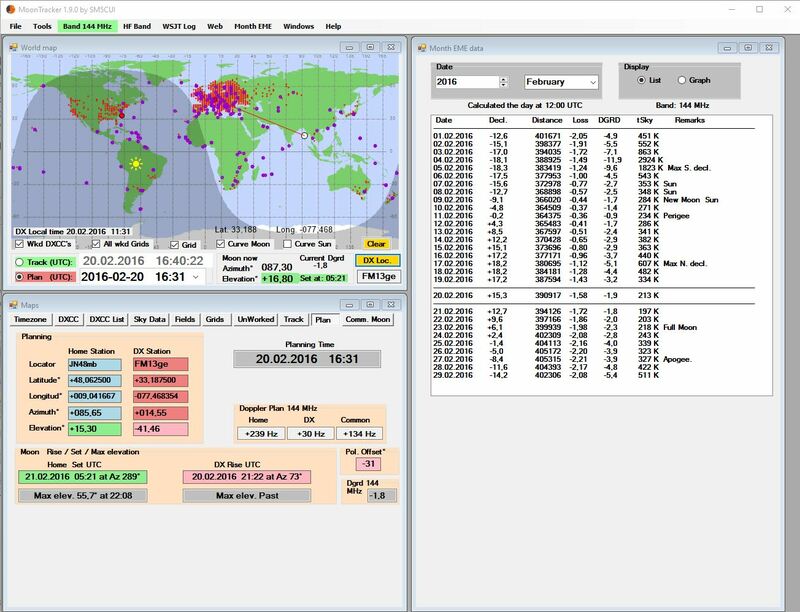 There is also a full report about this software written by Bernd – DF2ZC in his monthly newsletter. Link: DF2ZC’s EME newsletter February 2016. In 2018 December actual version is 2.57. Rune added now also a full logbook .